“Based on the performance I have that I’ve seen… I think it is safe to say that Steven Furtick is a cult leader. I know that might come as a shock to some of you but I mean, based on what his followers have been saying to me privately and pubicly on twitter as well as in email and other stuff like that- I mean this guy is a cult leader. He is the visionary. He’s the man of God. He’s the new Messiah. But he’s not.” – Chris Rosebrough, The Antidote to Antichrist’s Anti-Truth: 08:30, http://0352182.netsolhost.com/F4F012012.mp3, 20/01/2012. 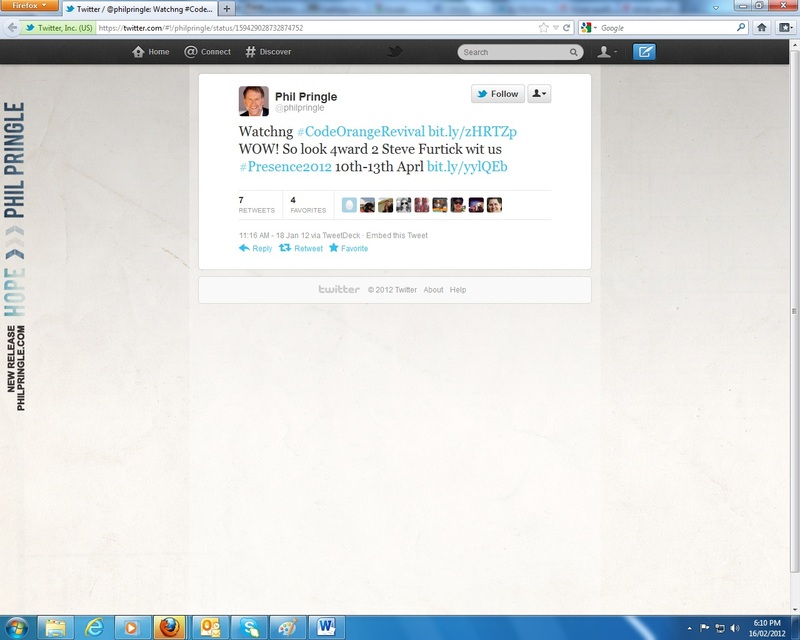 Why is Pringle endorsing a supposed cult leader to speak at his Presence Conference 2012? Does Pringle care more about popular celebrity Christians rather than caring about the spiritual health of the Australian churches Pringle is influencing? “Ok. This email comes to us from a man who lives in Charlotte, North Carolina. He and his wife attended Elevation church for five years. However, they will no longer be attending. And – I’m not going to give you his name cos I know how the Elevators will treat him if they heard who this was.” – Chris Rosebrough, Fighting For The Faith, Laying Hold of Eisegetical Nonsense: 21:55, http://www.fightingforthefaith.com/2012/01/laying-hold-of-eisegetical-nonsense-.html, 19/01/2012. But I was held back by the lies taught every week thinking, ‘Surely, for the church to be flourishing the way it is, it must be God, right?’. Boy was I wrong. I also want to point out that despite daily prayer and reading of the Word, I have been unable to grow spiritually, bound by the completely backward, narcissistic eisegesis, teaching at Elevation church. After Matt Chandler’s unbelievable message, and much that I had learned listening to your podcasts, I now know why I haven’t been able to grow spiritually. I have been consistently ingesting spiritual poison and have been reading the bible completely wrong. I feel like my eyes have been opened and I have had difficulty understanding how I could listen to that, week-in and week-out. But I am just glad that I have escaped that trap. Looking back at all of the people there and how it kept me from growing or even learning anything about Jesus, I have the very uneasy feeling Elevation is being used as an extraordinary cunning tool of evil used to ensnare people. A masterfully orchestrated show, designed to manipulate emotion!” – Chris Rosebrough, Fighting For The Faith, Laying Hold of Eisegetical Nonsense: 22:47-24:41, http://www.fightingforthefaith.com/2012/01/laying-hold-of-eisegetical-nonsense-.html, 19/01/2012. “I want to point out a couple of observations that I found interesting from Matt Chandlers sermon. He seems to be looking and preaching directly to Furtick to his left much of the sermon. Especially when he makes points of the bible ‘not being about you’. He repeatedly says, ‘Look at me’, before saying an important point. Could he be saying that to Furtick? The cameramen tended to show the crowd and those on stage whenever the audience was clapping. So I scrubbed through the sermon and watched every time it happened, watching Furtick, who did not clap once or even appeared to be paying any attention to Chandler. He was slumped back like a teenager with an attitude. I was especially unnerved when Matt Chandler proclaimed that He doesn’t want Matt glorified. He [God] wants to be glorified in, and everyone applauded except for Furtick. When Chandler says, ‘You are not the centre of the universe’, he looks directly at Furtick. To proclaim that and stare at him in the face when he is clearly despising everything Chandler is saying is so unbelievably bold. He says, ‘There is no sin in your life past, present or future that has more power than the cross of Jesus Christ. None’. That’s forty one minutes into the sermon to applause and amens, accept for Furticks, who at that point is leaning on his fist, presumably glaring at Chandler. He’s normally unbelievably energetic, jumping around, raising his hands, amening pastors off the stage. I don’t want to extract meaning that isn’t there but why won’t he acknowledge the cross of Christ when he so exuberantly acknowledges every other thing uttered by guest preachers? I’ve watched him for years and I have never seen him behave that way. Thanks again. My wife and I spent hours upon hours, listening to you show learning discernment and being encouraged.” – Chris Rosebrough, Fighting For The Faith, Laying Hold of Eisegetical Nonsense: 26:50-29:01, http://www.fightingforthefaith.com/2012/01/laying-hold-of-eisegetical-nonsense-.html, 19/01/2012. We must ask the question, why on earth would Pringle invite such a dangerous teacher to speak to thousands of Christians? Does Pringle not care of his spiritual duties as a pastor? “Watchng #CodeOrangeRevival http://bit.ly/zHRTZp WOW! So look 4ward 2 Steve Furtick wit us #Presence2012 10th-13th Aprl http://bit.ly/yylQEb” – Phil Pringle, https://twitter.com/#!/philpringle/status/159429028732874752, 18/01/2012. HAS PHIL PRINGLE LOOKED AT STEVE FURTICK’S TRACK RECORD? He has demonstrated hostility to his own congregation for being disciples and those wanting to know more about Jesus. “We don’t teach from Books of the Bible because it gets in the way of evangelism. We don’t offer different kinds of Bible studies because it gets in the way of evangelism. We don’t teach doctrine because it gets in the way of evangelism. While loving each other and evangelising the world are good things, we need to be careful to tightly hold onto the truth at all costs otherwise the church will be thrown by every wind and wave of doctrine (Ephesians 4). Furtick’s extreme focus on evangelism and emergent Christianity has him breach the following scriptures: John 21:15-17, Luke 10:38-42, Matthew 28:19-2, John 8:31-32, Acts 2:42, Titus 1:7-10, Titus 2:1-10, 2 Timothy 4:1-4, 1 Corinthians 1:18-25. We have seen the toll of Furtick not remaining theologically faithful. He has endorsed some abusive leaders and heretics for his code Orange Revival 2012. We will see in his Code Orange Revival why it was labelled the Heresy Olympics. WHAT HAPPENED AT FURTICK’S CODE ORANGE REVIVAL? Is Steven Furtick the One Whom the Prophets Longed to See? Code Orange, Revival or Deception? “He’ll [Steven Furtick] tolerate any gospel except for the biblical gospel. Yeah, if that isn’t the case then why did he hack that out? 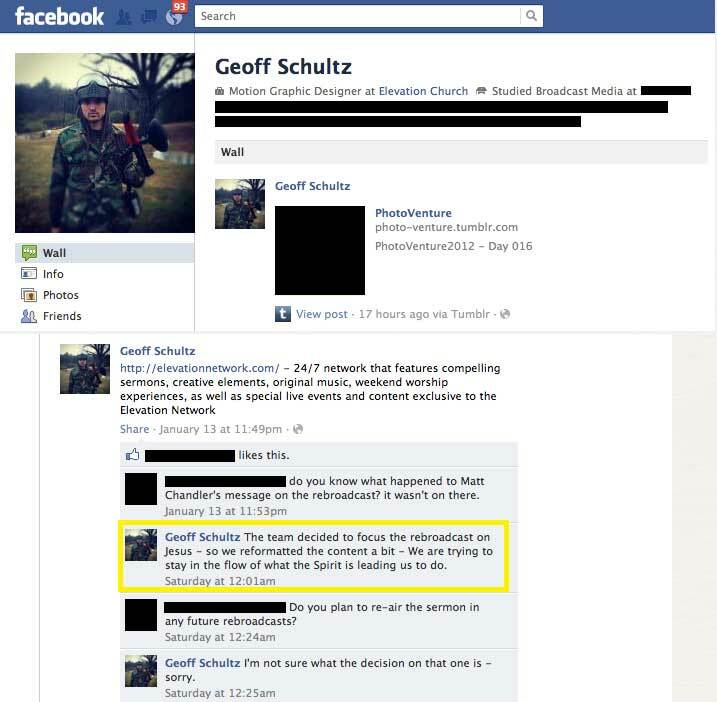 Why did he hack it out? That was his first impulse and that’s exactly what he did. He was NOT happy – and you can see it in his body language, you can see it in what subsequently happened with him hacking it out. And the final thing was, well, he was caught red handed. And so he had to make the decision to put the sermon back in through the rebroadcasts at 10:12 and 12:12.” – Chris Rosebrough, Code Orange Revival Weekend 1 Recap: 17:58, http://0352182.netsolhost.com/F4F011612.mp3, 16/01/2012. The behaviour, decisions and actions of Steve Furtick do highlight his personal issues with proper theological preaching and highlights his immaturity as a pastor. The Sola Sisters from http://solasisters.blogspot.com.au, also looked to see what happened at the event regarding Chandler and Furtick. Below is their article. For those unaware of the latest brouhaha in Evangelicalism, let me first lay out the facts. Steven Furtick, megachurch pastor at Elevation Church in Charlotte, North Carolina, is currently hosting a revival which is running from January 11-22 and is promoted as “a 12 night worship experience to set the stage for 2012.” The event is entitled “Code Orange” to indicate, according to Elevation Church’s website, “a heightened sense of urgency….something significant is about to happen.” The line-up of speakers for Code Orange includes Craig Groeschel, Jentezen Franklin, Matt Chandler, Christine Caine, Ed Young, Israel Houghton, Perry Noble, James MacDonald, T.D. Jakes, etc. So Matt Chandler, pastor of The Village Church in Highland, Texas, and one of the invited speakers at Code Orange, stood up at Elevation Church and delivered what turned out to be a barn burner of a sermon. In his distinctive delivery style (that is to say, humble, loving, direct and at times laugh-out-loud funny), Chandler took aim at the kind of preaching that has been so aptly termed “Narcissistic Eisegeis,” and at which Steven Furtick, and so many others in the seeker sensitive movement, excel. 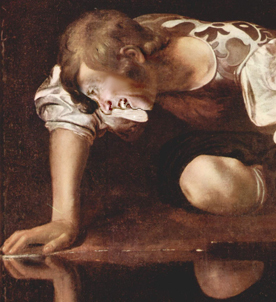 Narcissistic Eisegesis (“Narcigesis”) = Forcing the Bible to mean something you already want it to mean by superimposing yourself into the meaning of the passage, rather than interpreting Scripture for what it means about God, and letting the Scripture simply speak for itself. Conversely, seeking to understand Scripture for what it reveals about God is known as Exegesis, and is also sometimes referred to as the “Literal” or “Grammatical-Historical” approach to interpreting Scripture. Example: The Narcissitic Eisegesis version of David and Goliath would be about you fighting your personal “giants” (i.e., problems, difficulties, setbacks, etc.). The Exegetical approach to interpreting David and Goliath would reveal, instead, an historical account of David’s faith and God supernaturally intervening in an impossible situation for his own glory. Now, back to Elevation Church, Code Orange, and Matt Chandler’s sermon. First of all, before the letters start, I am aware that Matt Chandler is affiliated with Acts 29, has contemplative authors on his site and has claimed audible words from God. I’m not putting a stamp of approval on any of that by posting Chandler’s sermon. The church is in a big muddle today, and I truly do think that we’re in the end times deception, such that even the elect might be deceived. But here’s a thought: maybe part of that playing itself out is that some will appear to be slipping, but when push comes to shove, will stand up and preach Jesus Christ and him crucified. The desire, of course, is for the ones who appear to be slipping to demonstrate that their feet are firmly planted on the Rock of our Salvation – Christ – and it appears to me that Matt Chandler is demonstrating just that. Because really, for Chandler to go to Elevation Church and preach as he did? To stand up before thousands and thousands of people, knowing that his message would not be well received? That could not have been easy, and it demonstrates a fear of God, rather than a fear of man. So the sermon rocked, Christ was exalted, and man was humbled. I can only speak for myself, but I personally need sermons that pierce me and break me and make me lie down on the floor, repenting and crying, and also remind me of the only hope that I have, which is not that I can be great and conquer problems but that God is great and has made a way for wretched sinners (like me) to be reconciled to himself. So we’ll let you be the judge. 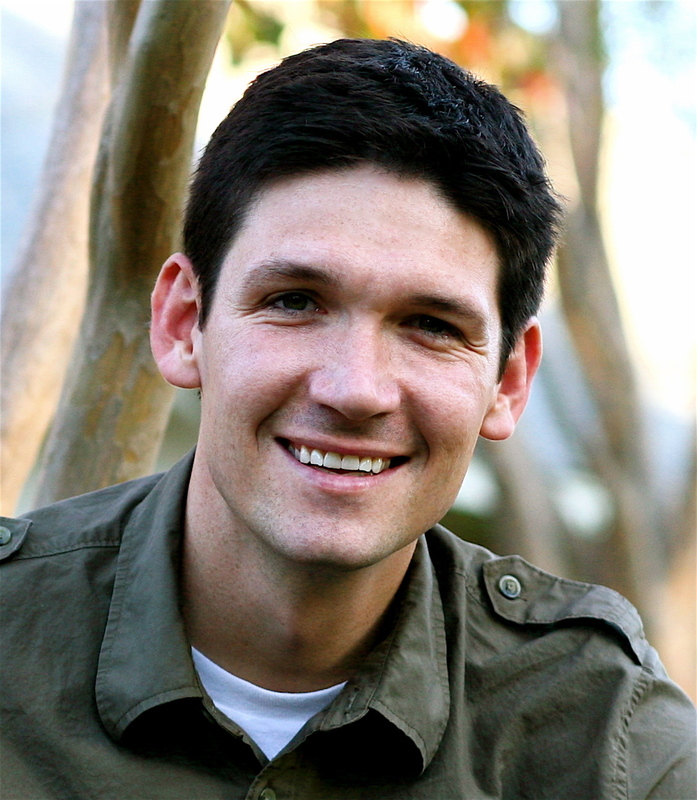 Matt Chandler’s sermon is posted above, where you can listen to it in its entirety. Was this a sermon that should have been pulled because it did not focus on Jesus? Do you honestly think Pringle knows enough about Steve Furtick to have him speak at Presence Conference 2011? Do we really need this man to influence thousands of Christians in Sydney?